Telling stories, especially of brave and inspiring men and women of the past, has always been an effective and appealing way of introducing the members of each new generation to the richness of their heritage. Peter Milward’s enthusiasm for the important figures of the early Church, both familiar from the New Testament narrative, and those nowadays less well-known from the post Apostolic age, is infectious. 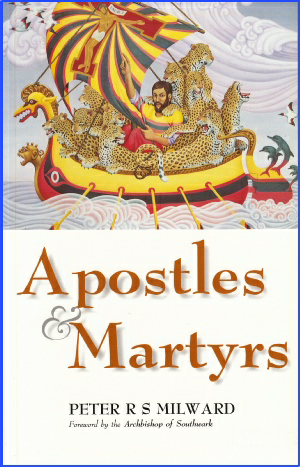 His refreshingly straightforward acceptance of these stories of fidelity and heroism, and the way in which he links them with the later development of the Western Catholic tradition, are unusually attractive, and will be valuable not only to those who want to learn more about their earliest forbears in the Faith, but also to those who are looking for fresh resource material to inspire and enlighten young people in their care.